Oxfam Intermón, the Spanish affiliate of the international development aid organisation Oxfam, has joined forces with the Gabriel García Márquez Foundation for New Ibero-American Journalism (Fundación Gabriel García Márquez para el Nuevo Periodismo Iberoamericano, (FNPI) in a new grant program to encourage journalism on themes related to gender equality and inequality in Spain and Latin America. 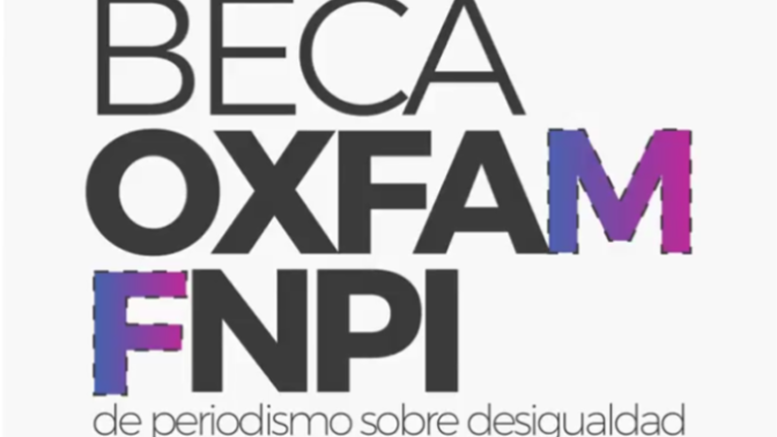 The call for nominations opened in March is scheduled to close on 26th April and the winner will receive a US$5,000 dollar award to finance the investigation and writing of a journalistic piece or series of articles about gender inequality within Spain or in Latin America. Submissions will be judged by a three-member panel of distinguished journalists, including Ana Pastor, presenter of the popular news television program in Spain, El Objetivo); Eliezer Budasoff, editor of The New York Times en español; and Colombian journalist Jineth Bedoya, of the daily newspaper, El Tiempo, in Bogotá. The work produced by the grantee will eventually be published by The New York Times en español, which circulates throughout Spain and Latin America.